In 1946, an alien virus that rewrites human DNA was accidentally unleashed in the skies over New York City. It killed ninety percent of those it infected. Nine percent of those who survived mutated into tragically deformed creatures. And one percent gained superpowers. 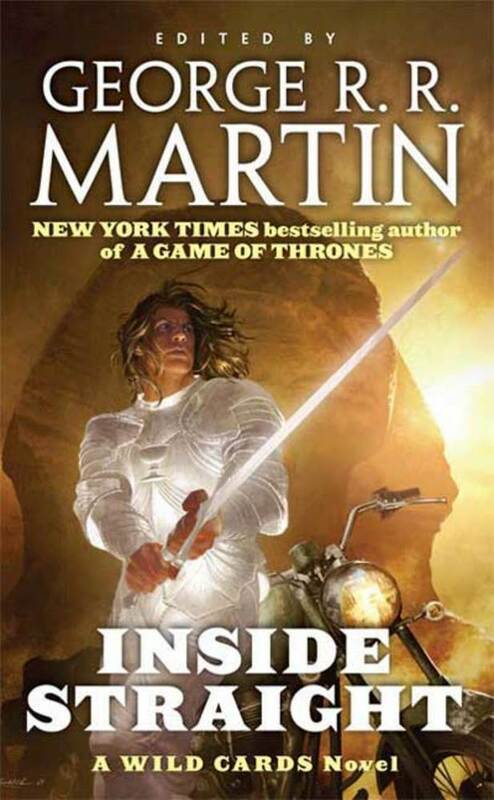 The Wild Cards shared-universe series, created and edited since 1987 by New York Times #1 bestseller George R. R. Martin along with Melinda Snodgrass, is the tale of the history of the world since then—and of the heroes among that one percent. Originally begun in 1987, long before George R. R. Martin became a household name among fantasy readers ("The American Tolkien" --Time magazine), the Wild Cards series earned a reputation among connoisseurs for its smart reimagining of the superhero idea. Now, with Inside Straight, the Wild Cards continuity jumps forward to a new generation of major characters, entirely accessible to Martin's hundreds of thousands of new readers, with all-original stories by Martin himself, along with Daniel Abraham, Michael Cassutt, and Stephen Leigh, among others.